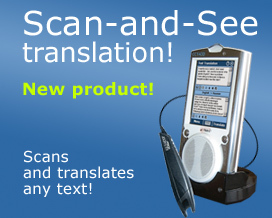 With a massive 187,000 entry English <-> Latvian Translating Dictionary, an easy to use 39 language translating Picture Dictionary, and complete English explanatory dictionary, the remarkable new ELv900 Grand contains everything you need for superior translation and accurate communication. Exclusive User Dictionaries allow you to store your own personalized lists of frequently used words and a history function remembers your most recent translations to provide instant access to the information you need to understand and be understood. Delivering flawless voiced output of all the words in its enormous database with True Voice human pronunciation, the ELv900 Grand offers a unique chance to improve your pronunciation by hearing how a native speaker says a word or phrase. A pre-recorded word list provides access to the dictionary’s spoken entries. The world’s most advanced English Speech Recognition modules let you speak into the device in your own language and get an instant, hands-free translation that can be spoken out loud in the target language. One of the most effective methods ever designed for language study, it employs the advanced True Voice and Speech Recognition modules and step-by-step lessons to guide you comfortably from beginner to advanced speaker. With a full set of enjoyable games and exams, you improve your language skills naturally and intuitively. In addition, with the unique Word-of-the-day utility, a Memorize splash screen appears when starting an application to show you a useful word or phrase, a translation and a corresponding picture. It's an excellent way to improve your vocabulary and master a foreign language! The ELv900 offers the most sought-after extras to make every trip you take more enjoyable. The included jetBook Reader lets you read and translate your favorite e-Books. A handy Voice Recorder lets you record conversations and audio notes and the built-in Video Player supports .avi, .wma, .wav, .ogg, .jpg and .png audio, video, and image formats so you can access your favorite media files anytime, anywhere. ELv900 Grand also includes Calendar, a World Time clock, Metric Conversion, and a Calculator keep you organized to save you time and money. Easy to navigate and astonishingly responsive, the customizable and intuitive Windows CE powered interface offers instant access to the information you need quickly, easily and dependably. A Smart Virtual Keyboard with Audio interface and layout for both languages complete the built-in support that makes the ELv900 different from all the rest. 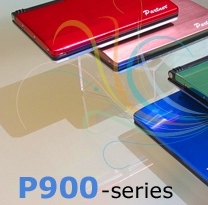 All Grand 900 models include C-pen, GPSR, 4GB language card with US map GPS, Car holder, Car power adapter, Dual USB cable for C-pen, Headphones with mic, Bonus CD, Adapter, Rechargeable battery and Pouch. 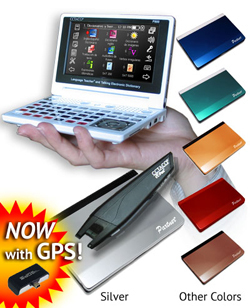 ECTACO GPS package! Order now for only $ 99.95 and get to your destination easily! This model is also available in the following colors: Alpine (white) and Corrida (red). To choose one of the alternative colors, please indicate the color you want in the Comments box of the order form. Los diccionarios electrónicos y traductores de mano – más de 70 títulos para 20 idiomas – son dispositivos modernos, ligeros y de moda con una gran variedad de funciones. Un diccionario electrónico se está convirtiendo en el artículo indispensable en muchas áreas de negocios. ECTACO Partner ELv900 Grand - Angļu <-> latviešu runāšana elektronisko vārdnīcu un Audio sarunvārdnīca ar Rokas Scanner.